Product categories of Trolley, we are specialized manufacturers from China, Manual Trolley, Manual Beam Trolley suppliers/factory, wholesale high-quality products of Manual Chain Trolley R & D and manufacturing, we have the perfect after-sales service and technical support. Look forward to your cooperation! Single Trolley is a kind of lifting device and it has its own characteristics of simple structure and easy operation. 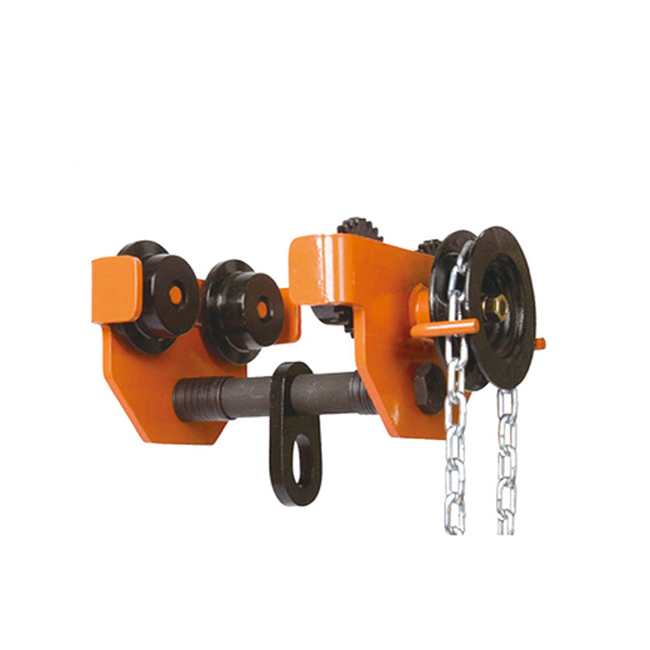 It can be attached to Chain Hoist of Electric Hoist or any other loading machinery to form a loading trolley. 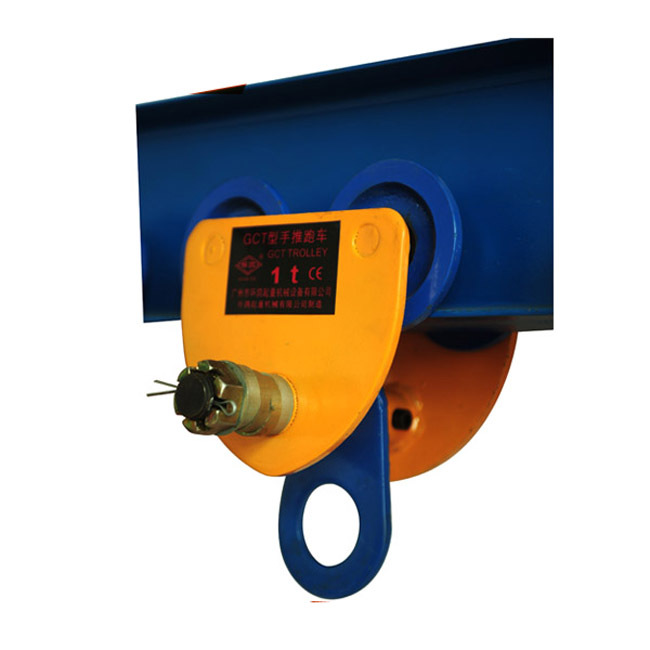 It can be easily running on the botton flange of I beam track at a curve radius for loading and unloading goods and equipments. By different way of driving , the trolley series can be divided into two types: Geared Trolley(GCL) and Plain Trolley(GCT). 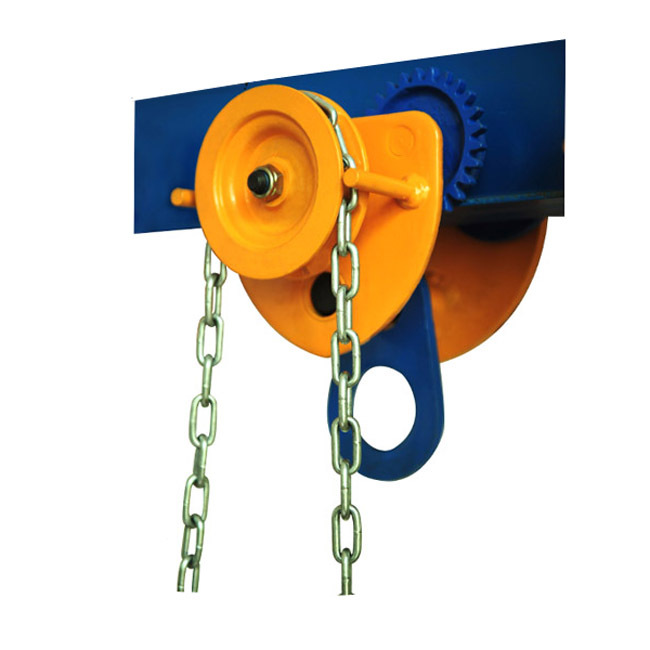 The plain troley is operated by pushing the load and for the geared trolley, we can pull the hand Chain to drive it. Q1: What are you? Trade Company or manufacturer? Q2: What`s the advantage of your company? We're experienced manufacturer and overseas dealer. Our products have been exported to over 110 countries. Q3: What`s the sample & MOQ to your company? Sample order MOQ can be 1 set and the product you ordered will be sent in a week as long as inventory is available. Q4: What should I provide when inquiry? Please answer the questions below while giving us the inquiry. The more information you provide, the more accurate solution we can prepare for you! 1).Which kinds of trolley do you need? 4).Any other requirement do you need?